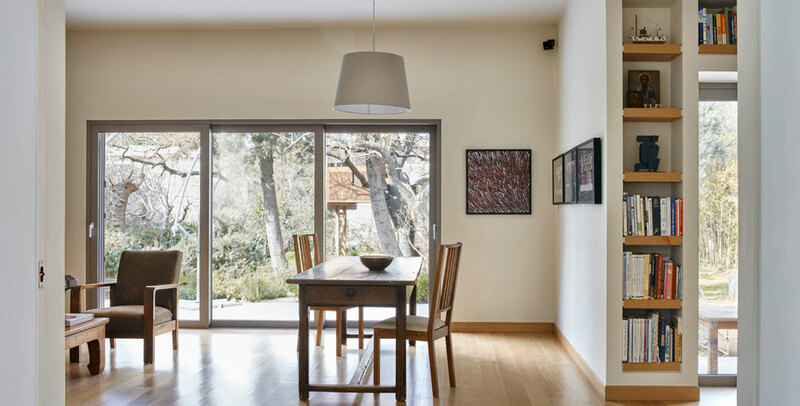 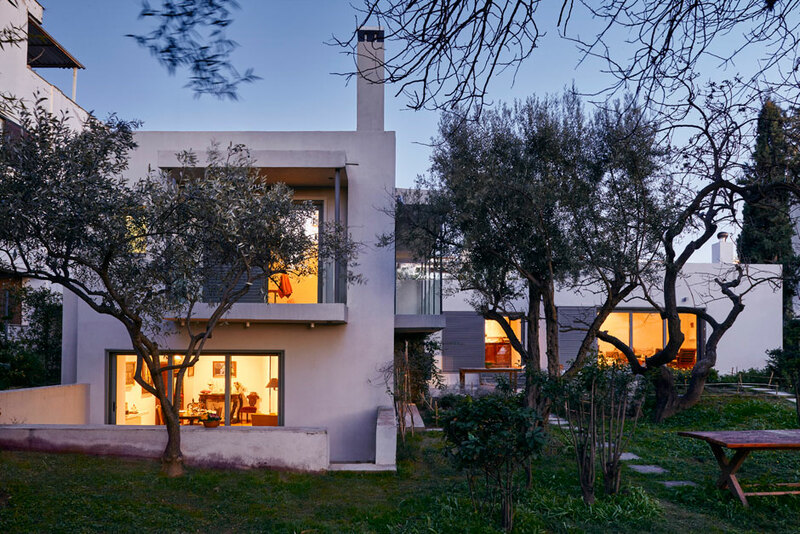 The renovation of the 1968 residence consisted of two parts, since the main owners decided to offer it to their son and his family, provided that they would continue to live in the same shell. 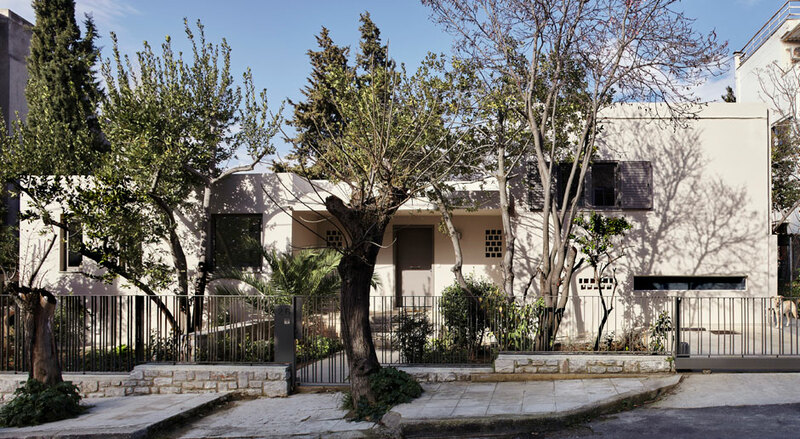 The main objective was to balance communal living and privacy, in order to secure the everyday needs of both parties. 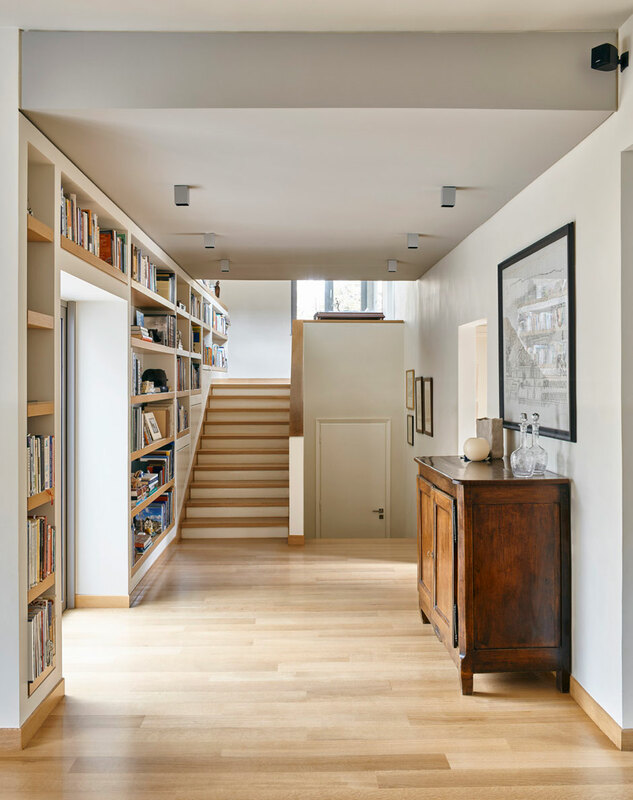 The semi-basement level that included storage, boiler room, garage etc., was converted into an autonomous apartment, with garden access and internal communication with the rest of the house. 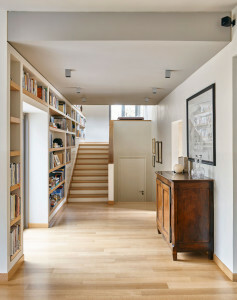 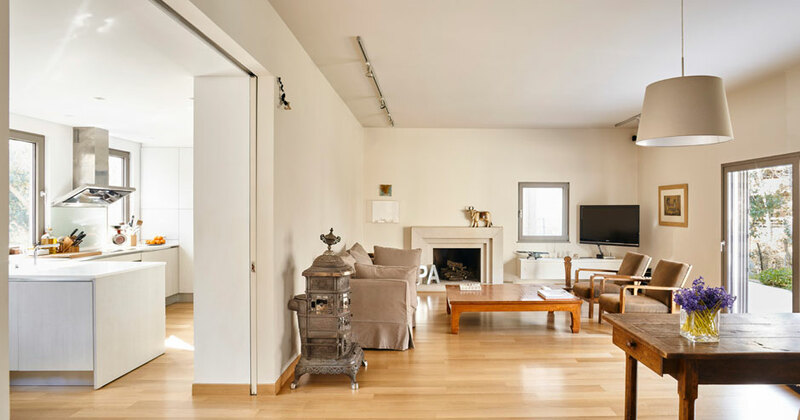 The main house’s, limited changes – in terms of layout – focused on the flow of the living areas, kitchen and entrance, while extensive storage spaces (bookshelves, cabinets) were integrated into the corridors. 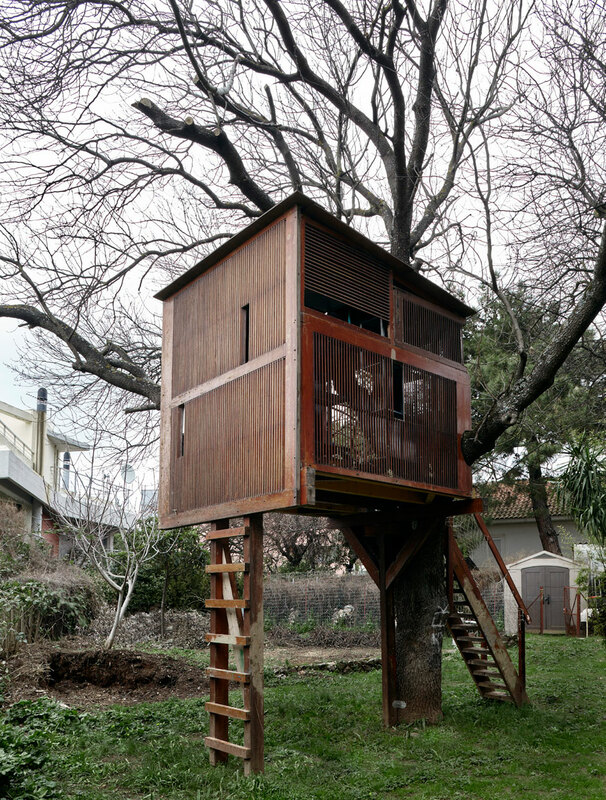 Old materials, such as wood and shutters, were recycled to construct a tree house in the garden.